Our restaurant kitchen design and layout services are your solution to building the perfect kitchen. We use a chef focused design approach, so your team can always perform at their best. You have a vision for your business, and Mise Design Group will give you the tools you need to make it a reality. Designing the perfect restaurant kitchen is very similar to the process of developing a recipe; it is as of an much art, as it is a science. The art of restaurant kitchen design is in the understanding of how chefs use ingredients, and the techniques involved in creating their dishes. The science is being able to flawlessly translate these needs, to the members of the design and construction team. We are experts at combining art with science, and believe that only a chef can truly appreciate the needs of another chef. Our restaurant kitchen design process begins simply with the layout of your space and the ideas you have for your concept. We take the time to get a clear picture of your vision and develop a strategy to implement it in your new space. The most important factor in any restaurant design project is your menu. Your menu will act as our guide throughout the entire design and construction process. It will help us answer all the strategic questions that come up along the way. We break it down into culinary techniques, and arrange our operational needs around them. This approach allows us to maximize productivity, and helps to keep your equipment costs as low as possible. It is this kitchen design strategy that can help to ensure your culinary staff have every opportunity to show off their talents to your guests. Your concept is unique, so your restaurant kitchen design should be too. Our restaurant clients are the most personalized of all the projects we develop. Every kitchen will create its own unique identity, and our designers know how to build it around your concept. 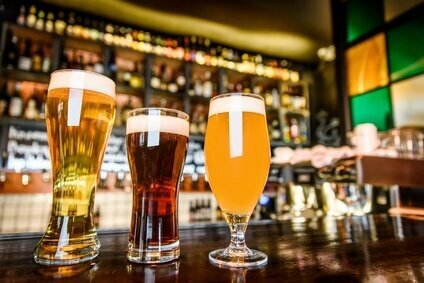 Whether you are opening a local gastropub, an authentic sushi bar or a fine dining restaurant; they all need a customized approach to ensure they operate efficiently. We design the ideal kitchen, perfectly tailored to your needs. Unlike most restaurant kitchen consultants who use “rules of thumb,” to figure out what is right for your concept. Our design approach will optimize the flow, function and efficiency of your kitchen. This way, you can focus on quality, not compromise. This translates into a more pleasant work environment for your staff, a better dining experience for your guests, and a more profitable bottom line for you. 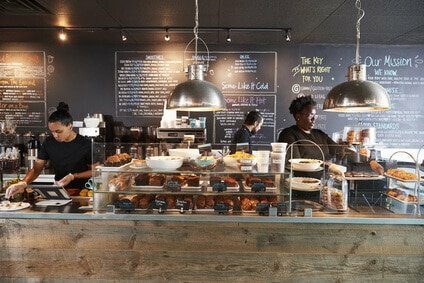 Cafés and coffeehouses share similar design characteristics, with the focus being on the speed and execution of service. These projects offer a large variety of hot and cold beverages that are prepared in front of customers; so, it is important to design efficient and attractive workspaces. The food offerings at a coffeehouse tend to be very basic; such as pastries and breakfast sandwiches that may or may not be prepared on site. Cafés tend to offer a larger variety of menu options where all meals are prepared in their commercial kitchen. Our designers know what it takes to create the most efficient food and beverage spaces; so, everyone can focus on what is important, your customers. Taverns and gastropubs also share similar bar and restaurant kitchen design characteristics. Tavern style restaurants have been around for centuries, but the term gastropub came about in the early nineties. Both restaurant styles sell alcoholic beverages and food, so an important design focus is on the relationship between the kitchen and the bar staff. The main difference between these two restaurants is that a tavern will tend to offer more simplistic food and drink offerings, and a gastropub will promote a more complex and eclectic menu. We create a space where your restaurant and bar designs flow together, to make sure your customers see teamwork at its best. The most popular concept trend in the United States currently, is the fast-casual style restaurant. The primary design focus for a fast-casual restaurant is the speed and execution of service. Since this type of dining will not offer table service; it is important to develop a kitchen layout that allows chefs to prepare meals in only a few minutes. These concepts are like fast-food restaurants, but offer higher quality menu offerings. Many of these projects will have a restaurant kitchen design that is on display to the customer, so they can see their meals being prepared. Our team creates efficient and streamlined workstations, so your customer’s longest waiting time, is in deciding what to order. 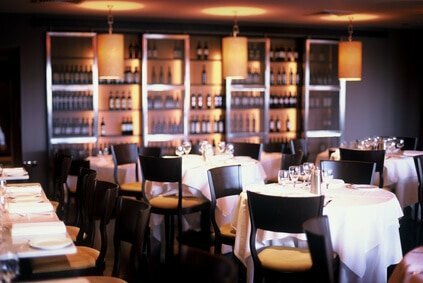 Casual dining restaurants are very popular and cater to a wide variety of diners. These are sit-down restaurants which typically have a rather extensive alcoholic beverage offering. 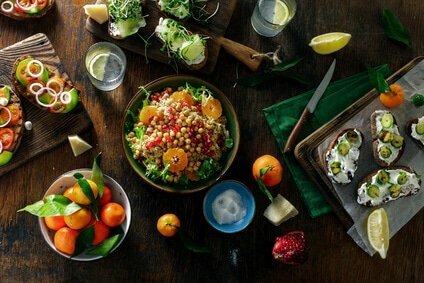 A casual restaurant menu is also quite varied and will contain several options ranging from appetizers and salads, hot and cold sandwiches, to pizza or barbecue and an assortment of entrees. 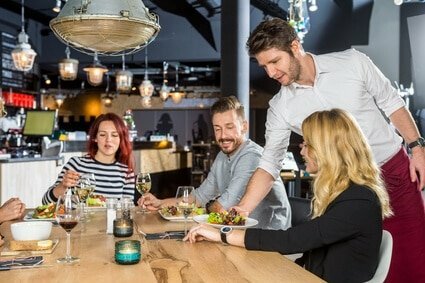 Like fast casual and tavern concepts, the casual dining design approach is the speed of service; of both the bar and kitchen staff, ensuring they work quickly and efficiently while they serve customers. We create kitchen and bar designs that keep the staff flowing, so you can do the same with your revenue. Cuisine based restaurants, also referred to as ethnic restaurants; offer menus based on a culture or geographical location. Southern American and Italian restaurants are excellent examples of cuisine-based concepts. These types of restaurants may also fall into just about any other type of restaurant kitchen design project category as well. 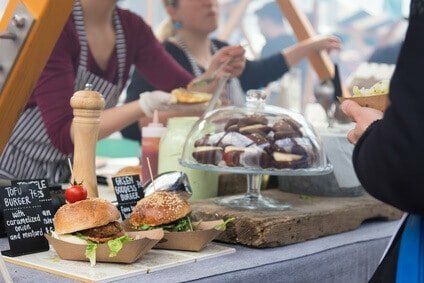 Whether the concept is fast casual or fine dining, these projects are highly focused on a specific cuisine; so, it is important the consultant have extensive knowledge of various culinary techniques. All our designers are classically trained executive chefs, so we know what it takes to create a space where talent can flourish and prosper. Fine dining restaurants seem to be on the down trend, because the dining experience has the potential to be quite time consuming. Serving courses in a formal sequence and can take up to a few hours to complete, so guest comfort and ambiance are very important. These restaurants tend to have smaller seasonal menus, focusing on locally sourced ingredients. Many will also have a large wine and beverage selection where the bar design and bottle display are center stage. These restaurant kitchen design projects will typically be comprised of various stations, organized around cooking techniques or ingredients; for a more coordinated execution of the menu courses.